7.5" length. 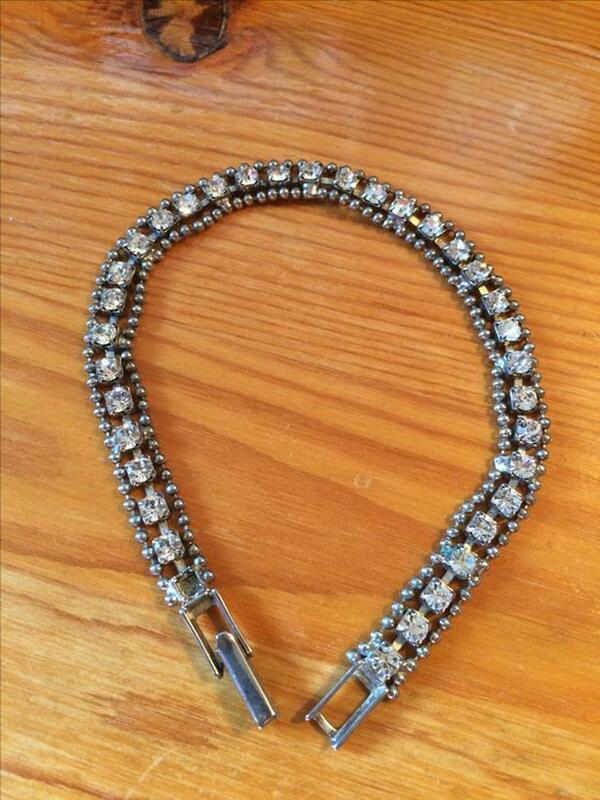 Missing one rhinestone, at very end on left. Not at all noticeable when worn.